Have Some Fun Before Summer Ends! Boise, Idaho is one of the best destinations for your summer vacation. Full of culture, nature, and fun activities for everyone to enjoy, this city is guaranteed to be one that you will want to revisit over and over again. Here are five of the top summer activities in Boise! This activity is perfect for taking a tube down the river and cooling off on a hot summer day. Usually, you will take off at Barber Park, which has rental services for getting your tubes, as well as shuttle services to get you from Ann Morrison Park to the take-off area. The equipment rentals open at noon every day, and the first shuttle leaves Ann Morrison Park at 1 pm. Every year, at least 125,000 people enjoy leisurely floating down this river, so it is no wonder that it’s so popular! This is a “float at your own risk” type of activity, so be sure to wear proper clothing, good footwear, and plenty of sunscreen! Depending on how high the water is, the float can take anywhere from a little over an hour to over two hours. 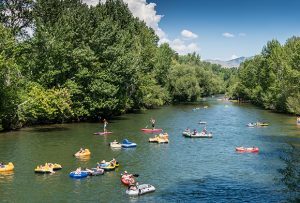 Lay back and enjoy the beautiful Boise River as you float through Downtown Boise and past Boise State University campus! And, keep an eye out for wildlife! Otters, eagles, and even deer love making an appearance and sharing the river! Remember to pack all of your items and trash out with you so we can keep the Boise River float clean and healthy! Do you enjoy observing animals in their daily lives? Are you interested in how they adapt to the Boise area? Look no further! Boise has many places to view all sorts of wildlife. However, a couple of the best places to see this wildlife are at the Boise Zoo (which is located in the downtown area) and the Boise Aquarium (which is located in central Boise). What’s great about both is that they are among the largest zoos and aquariums in the entire state of Idaho! You can either pick one and spend your whole day checking out the different exhibits, or you can plan to squeeze in both places on the same day. The choice is yours! 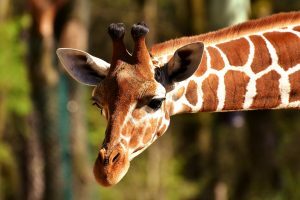 The Boise Zoo is open every day from 9am-5pm throughout the summer, and costs $10 for adults, $8 for seniors, and $7 for kids ages 3-11 (there is a discount every Thursday on admission). The Boise Aquarium is open from 10am-5pm every day except for Sundays (noon-6pm), and the prices vary depending on if you get a season pass or not, but it’s still an affordable and fun way to spend the day! Aside from the zoo and the aquarium, this is a specialized center that is dedicated solely to Idaho’s birds of prey. 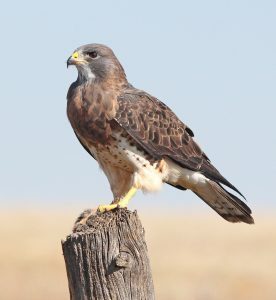 See every kind of raptor including peregrines (the state bird), eagles, and much more! As you take a stroll around the main courtyard, you will see both native and non-native birds. You can also view live presentations and exhibits, or you can take a tour of the Archives of Falconry. During the summer, it is open from 10am-5pm Tuesdays through Sundays, and closed on Mondays. Prices vary depending on age, but they are all $10 or less. The birds are here to be preserved, so be sure to be respectful of their environment and enjoy this special preservation center! 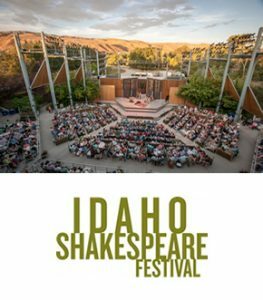 The Idaho Shakespeare Festival amphitheater is located on the eastern side of Boise near Highway 21 and is the perfect place to get some culture into your summer vacation. The amphitheater itself is an outdoor habitat reserve as well for different plant and animal species. Seating 770 people, this amphitheater is a favorite destination for Treasure Valley residents! There’s also a cafe that is a great way to get food before a show or during intermission. Or, feel free to pack your own picnic basket to bring with you! You can buy tickets months in advance or a couple of days before! Either way, the shows don’t start until 9pm or 10pm depending on the show. The box office is open from 9am-5pm Mondays through Fridays during the off-season. During the main season, (starting May 21 into September), the box office opens at 10am-6pm on non-performance days, 10am-Curtain Time on performance weekdays, and 2pm-Curtain Time on performance weekends. Prices vary, so be sure to check the website for season passes, single shows, or any other activities you might be interested in (theater camps, mini-shows, etc.). In Boise, there are plenty of historic places to visit, especially in the downtown and east Boise areas. Some of these sites and museums include the Boise Art Museum, Old State Penitentiary, Basque Museum and Cultural Center, Idaho State Capitol Building, Idaho Military History Museum, Boise Depot, Boise Black History Museum, and so much more! Each are full of information on what the Boise area used to be and what it has turned into in the modern era. They also have plenty of fun exhibits and hands-on experiences for you to enjoy. There are also tours available at each place, as well as a walking tour of the whole downtown area (if you wish to get some exercise and learn simultaneously). Admission and hours vary from place to place, so be sure to check on their websites or give them a call for more information. As you can see, there are plenty of fun and exciting activities to enjoy and places to explore in Boise, Idaho. If you want more options, be sure to ask the locals about some of their favorite places. Click here to read our blog filled with fun things to do on a Friday night in Boise, and click here to read about all kinds of activities to keep the kids active and entertained this summer! Whether it be taking a walk (or float) in nature, playing in the grass at a park, or experiencing culture at the festivals or museums, there is always something that you can learn from your experiences here. If you have any other questions regarding these places, contact them over the phone, or check their websites for additional information. Have fun and go discover what makes Boise one of the best cities in the world!